“Arrived in #Doha to meet with a more authoritative Taliban delegation. This could be a significant moment. Appreciate #Qatar for hosting & #Pakistan in facilitating travel. Now the work begins in earnest,” Khalilzad tweeted. The working groups from the two sides will share their assessment about two issues including the withdrawal of US forces from Afghanistan and the assurance that no threat will be posed from the Afghan soil against any other country. 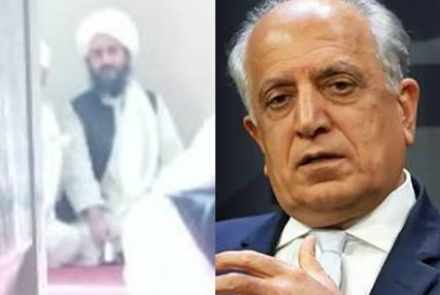 According to sources, to convince the Taliban for a ceasefire and face-to-face talks with the Afghan government, the two sides should first agree on the two issues. Since his appointment in September 2018, Khalilzad has traveled to various countries in the region and Europe where he has stressed the need for ending the conflict in Afghanistan through diplomatic means. The US special envoy says he is in Doha to meet with a more authoritative Taliban delegation. Am 20. Jahrestag der Festnahme von PKK-Führer Abdullah Öcalan hat die türkische Polizei 735 Kurden festgesetzt. Ihnen wird vorgeworfen, Massenproteste geplant zu haben.